Home » General Health » Lessons Learned from Fit to Fat to Fit! Lessons Learned from Fit to Fat to Fit! As I was flipping through the channels the other evening, I landed on a show called Fit to Fat to Fit—and it sucked me in deep. It was fascinating. It’s still early in the year, and fitness goals are still top-of-mind for many…so why was I seeing something that was promoting, in a way, fatness goals? Why in the world would anyone want to gain weight that wasn’t muscle mass? 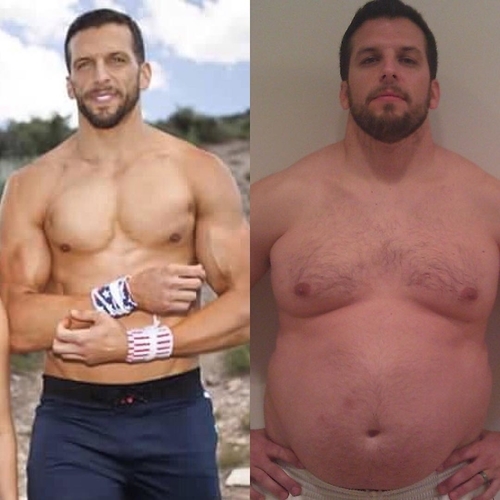 Fit to Fat to Fit: Fitness Results No One Expected! The premise of the show was like other reality shows in the same genre—overweight individuals work really hard to lose weight and experience a transformation in their body, lifestyle, and attitude. But this one had an interesting twist. In it, the contestant met their trainer four months before they started the program. In the months that followed, the ripped trainer was to gain as much weight as possible so that they would complete the journey with their client when the program started. In the episode I watched, the trainer gained around 75 pounds by eating a bunch of high-fat, high-calorie junk food. Basically, they abandoned their healthy diet and healthy lifestyle, and adopted a sedentary life and the standard American Diet. Once the gluttony was over with, the trainer and client worked together on diet and exercise goals. Both experienced substantial results at the end of the 10-week program: the client lost nearly 60 pounds (down to 248 from 304), while the trainer lost about the same. There were two main things going through my head when I was watching this; the first was how amazing it was. The second was just how important motivation is for dropping a substantial number of pounds in a health way and sticking to lifestyle improvements. At the end of the day, it’s not that impressive when a trainer drops that kind of weight. They lead active lifestyles and know how to eat and exercise effectively. Conversely, the clients, almost all of them, were ready to quit early into the program. But when they saw their trainer struggling—instead of yelling at them or shaming them like in other shows—they kept their heads up. The two formed a competitive team where they were supporting and pushing each other. Another theme that kept coming up was how people view food. People with a healthy lifestyle tend to view food more in terms of utility and fuel, whereas unhealthy people look at it more as a source of pleasure or reward. And this makes sense, because that viewpoint is constantly reinforced in today’s society. But this is an area of huge divergence for your own health. Creating a balanced relationship with food is essential to health and happiness. By the end of the program, I was happy to see clients were on their way to a healthier life and had made substantial gains in fat loss. However, losing 60 pounds in 10 weeks is not particularly sustainable or recommended. Extreme fat loss programs like this often lead to quick weight gain and difficult plateaus. Instead, take your time and aim for two pounds per week. This gives you more time to manipulate variables to maintain fat loss in the long term, while providing realistic dietary flexibility.